The legendary artist is killing it in 2017. 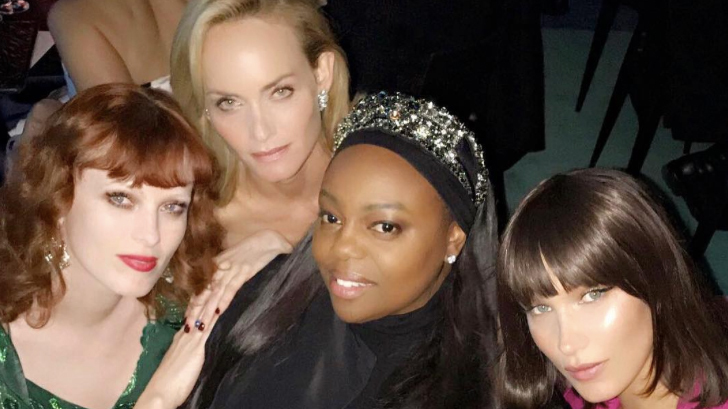 Makeup artist and brand founder Pat McGrath has been named Beauty Editor-at-Large for British Vogue. This is the latest major move at the magazine, where newly annointed Editor-in-Chief Edward Enninful is gathering a crew of his industry BFFs to make some changes at the 101-year-old publication that, up until last month, had been headed by Alexandra Shulman since 1992. Indeed, between American, British and Italian Vogue, McGrath has been the artist behind more than 300 covers. Her work was first featured in British Vogue in the early ’90s when she was just beginning her career. (She recently told Coveteur that in those years she wasn’t even sure she would become a makeup artist!) For the uninitiated, an editor-at-large typically contributes, in varying capacities, without working full-time in a publication’s office. No word yet on what McGrath’s setup will be like with British Vogue. Makeup artists Val Garland and Charlotte Tilbury, and hair stylists Sam McKnight and Guido Palau (all Brits, btw), have also been named contributing beauty editors. The announcement comes on the coattails of Pat McGrath Labs’ launch of MatteTrance lipsticks (which 10 of our staff tried on and fell in love with), as well as a winning year for the artist as she became the first makeup artist to receive the CFDA Founder’s Award. It’s a strong look.